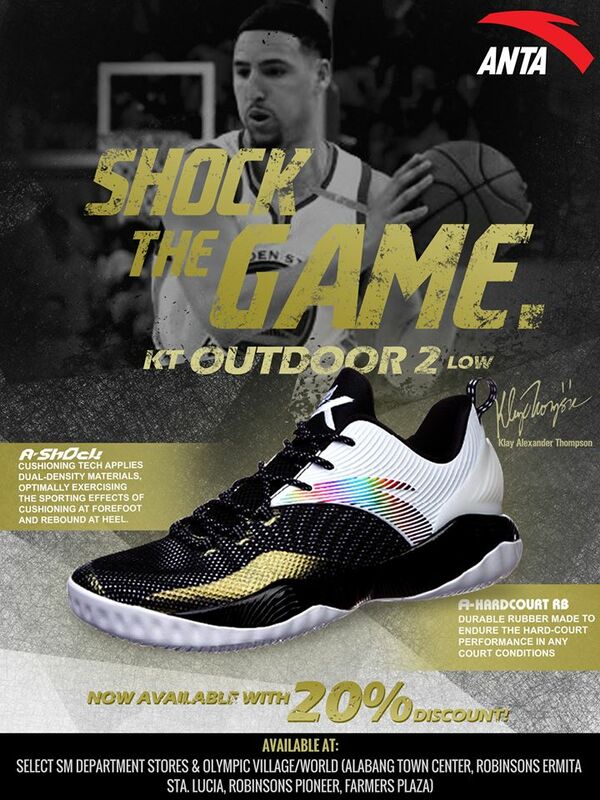 For those who are patiently waiting for the Anta KT 2 Outdoor, you can get them now at some malls. Sporting a synthetic mesh upper, A-Shock cushioning which is a dual-density foam which provides responsiveness on the forefoot and impact protection at the heel. Meanwhile, the A-Hardcourt RB makes sure that you can bring this wherever indoor or outdoor courts without worrying the outsole's durability. 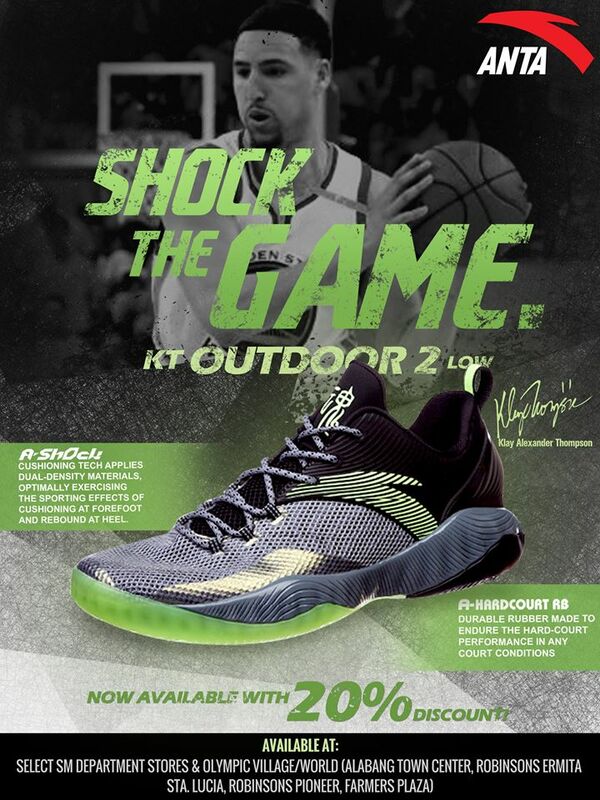 The shoe retails for Php 4,695 and is available at Selected SM Department Stores, Olympic Village / Olympic World (Alabang Town Center, Robinsons Ermita, Sta. Lucia, Robinsons Pioneer, Farmers Plaza). For those who love mids, there's also a mid-top version which retails for Php 5,295. Is 4,695 already discounted? If its not yet the discount price, damn I want this one.